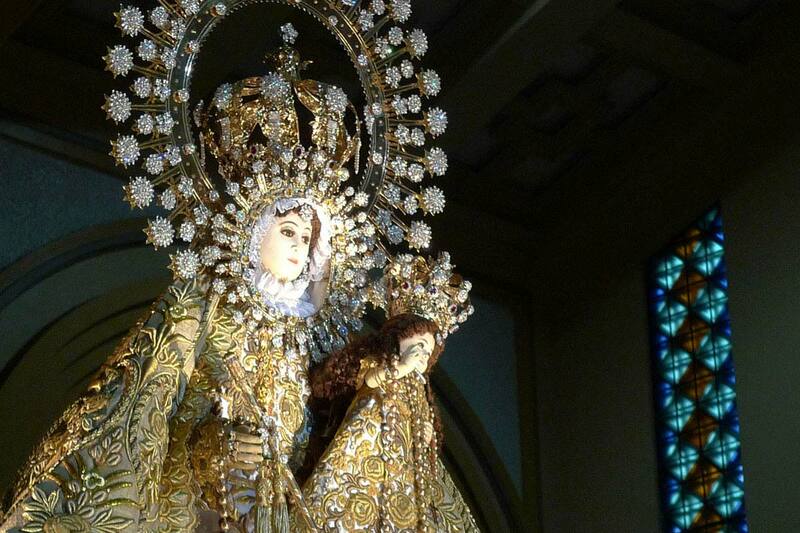 Our Lady of La Naval de Manila housed at Santo Domingo Church in Quezon City is one of the most historically significant objects in the Philippines. It was commissioned by the Spanish Governor-General Don Luis Pérez Dasmariñas in 1593 who wanted a statue of Our Lady of the Rosary (Blessed Virgin Mary) to which the public could pray. The reason it is so revered in the Philippines dated to some 60 years after its creation when the Dutch Republic attempted to conquer the country as part of a strategic to dominate the key trade routes in the region. Up against the superior Dutch forces, the Spanish and Filipino forces prayed to the statue for victory. After five battles they succeeded in repelling the foreign invaders and, believing that this almost miraculous victory was due to the intervention of the Virgin Mary, walked barefoot to pray to the statue, which was later named as the protector of the navy of Manila (“la naval de Manila”). The procession which honours the statue is held on the second Sunday of October each year.